The photo was taken from the boat "Vladimir Mayakovsky" on the boundless Lake Ladoga. Gulls accompanied us for all along the way! A pair of these birds spread their wings and soared easily over the smooth surface of the clear water. 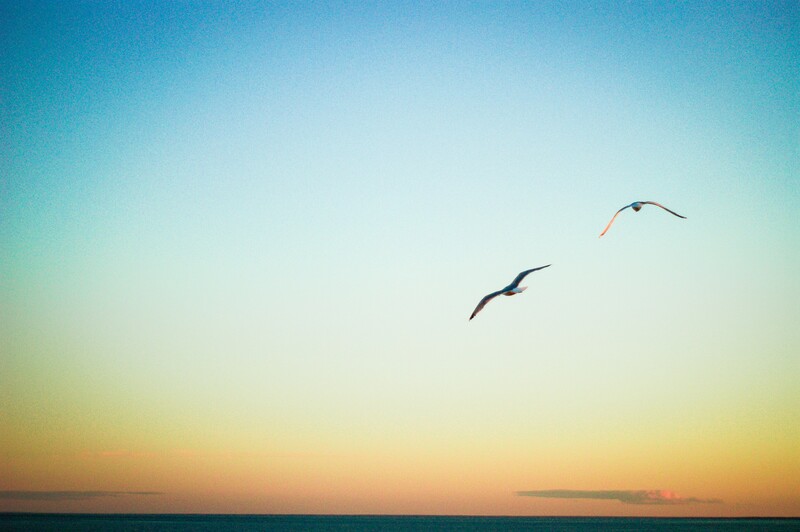 I wish we all be just as free as the gulls!